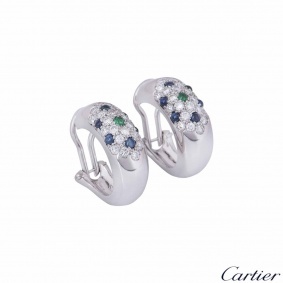 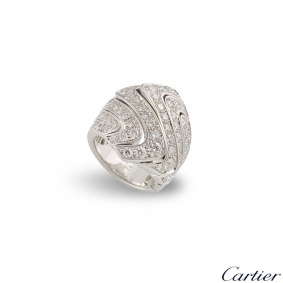 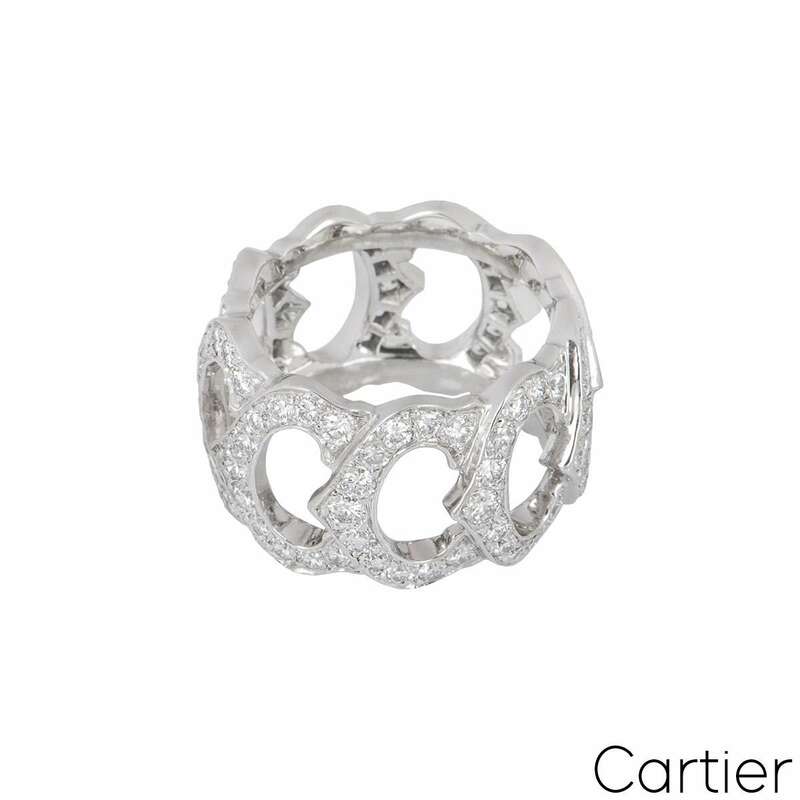 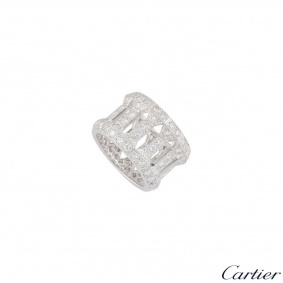 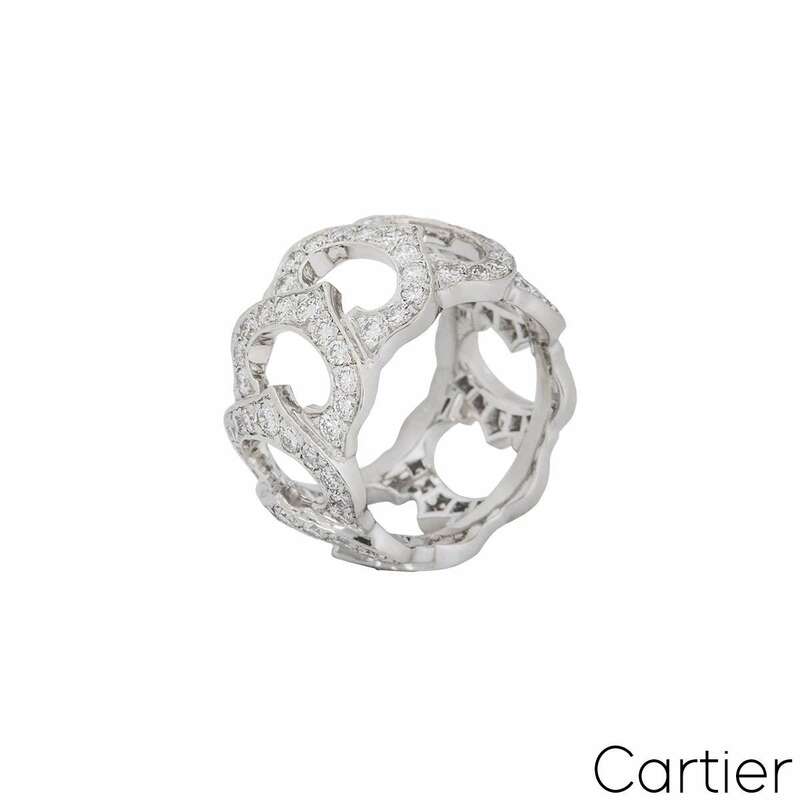 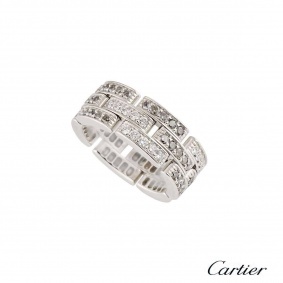 An 18k white gold ring from the C de Cartier collection from Cartier. 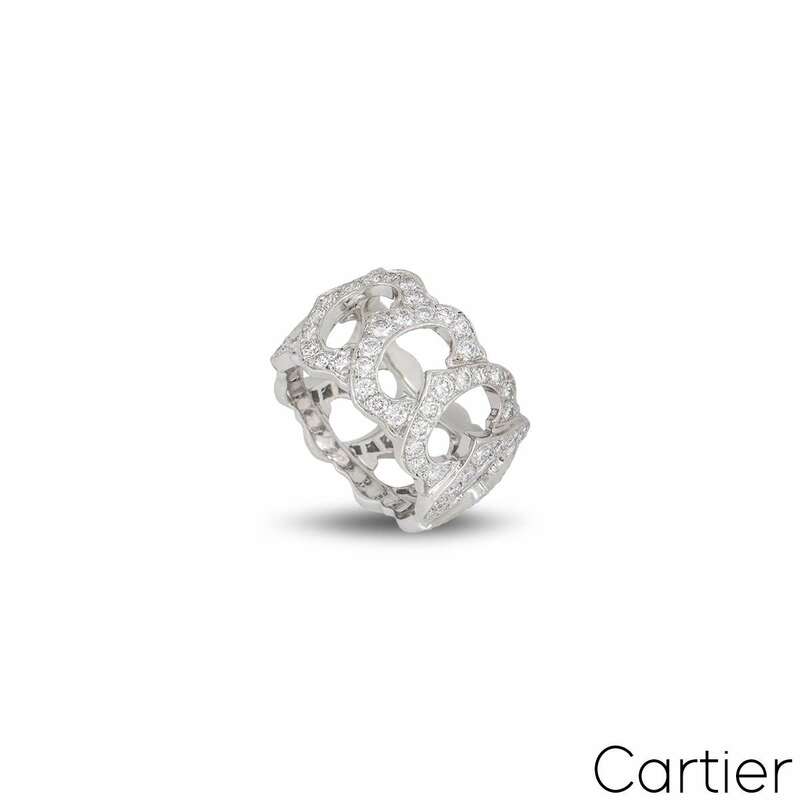 The open work ring is composed of 9 interlinking iconic C motifs, each pave set with 11 round brilliant cut diamonds totalling approximately 2.25ct. 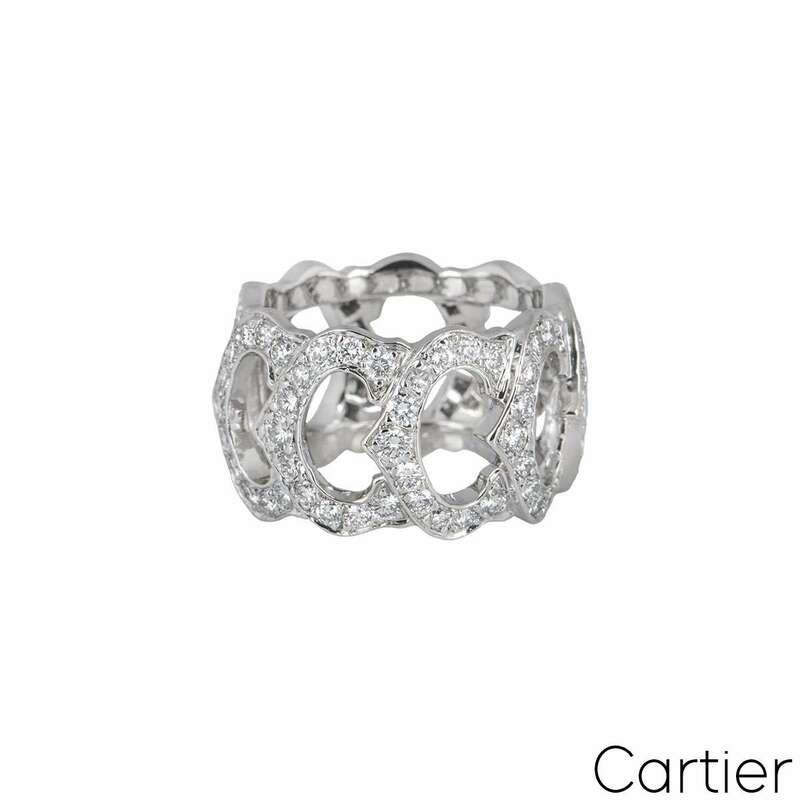 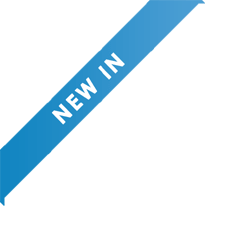 The ring measures 1.2cm in width, is a size 49 and has a gross weight of 8.85 grams. 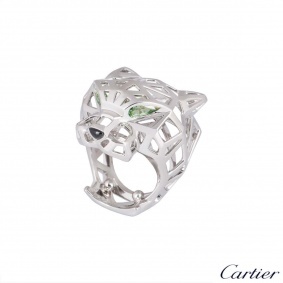 The ring comes complete with a Cartier presentation box and Cartier paperwork dated May 2015.